There's a lot you can do with Tableau on the web. As a Creator, you can connect to data directly to power your analytics, create stunning data visualizations, and share those insights with others. 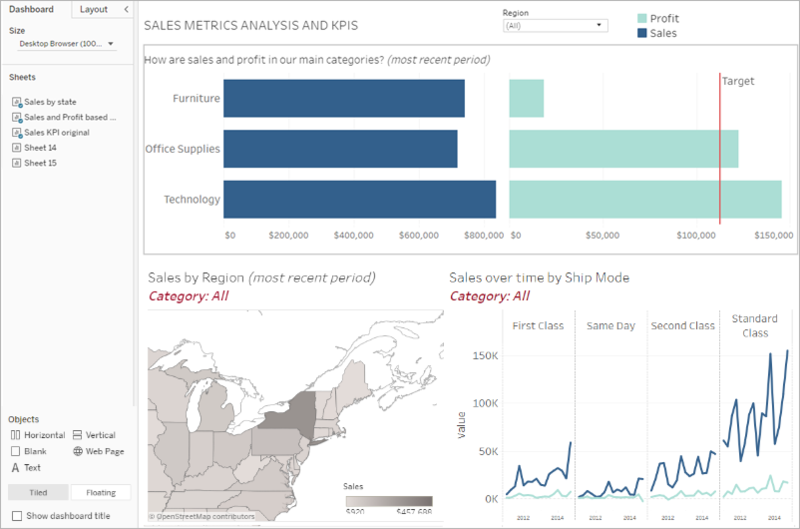 In this guide, we’ll cover the Tableau Online environment, connecting to and preparing your data for analysis, creating a workbook and sharing those insights with others. To get started, sign in to your Tableau site and enter your user name and password. When you log in, you will see all the Top-level Projects you have access to across the site. You can browse these projects or show other content types. Workbooks, data sources, and flows belong to projects, and projects can also contain nested projects. Much like folders on your desktop, projects are a way to sort and manage content in your site. If you've been invited to an existing site, you may see projects created by your teammates. Your site comes with a default folder, and you can use this folder for your explorations if additional projects are not available. In some way, you'll need to connect to data in order to analyze it and build a workbook. As a Creator, Tableau lets you connect to data sources directly on the web, or you can connect to data sources published to Tableau Online through Tableau Desktop. To begin, click the Create button and select Workbook. The Connect to Data window appears. To learn more about connecting to data on the web, see Creators: Connect to Data on the Web. Once you have connected to data, use the data source page to prepare your data for analysis. Left pane: Displays details about your data. For file-based data, the left pane might display the file name and the worksheets in the file. For relational-based data, the left pane might display the server, the database or schema, and the tables in the database. Canvas: When connected to most relational and file-based data, you can drag one or more tables to the canvas area to set up your Tableau data source for analysis. Data grid: You can use the data grid to review the fields and the first 1,000 rows of the data contained in the Tableau data source. Metadata grid: The button takes you to the metadata grid, which displays the fields in your data source as rows so you can look at its structure. To learn more about preparing your data for analysis on the web, see Creators: Prepare your Data on the Web. Once your data is ready for analysis, click on Sheet 1 at the bottom of the screen to be taken to the Tableau workspace to build a view. You've connected to data, you've set it up for analysis, and now you're ready to create a visual analysis of your data. Tableau calls this a view. If you've used Tableau Desktop before, the workspace area is very similar. Workbook name. A workbook contains sheets. A sheet can be a worksheet, a dashboard, or a story. For more information, see Workbooks and Sheets. Pages shelf, Filters shelf, Marks card - Drag fields to the cards and shelves in the workspace to add data to your view. For more information, see Shelves and Cards. 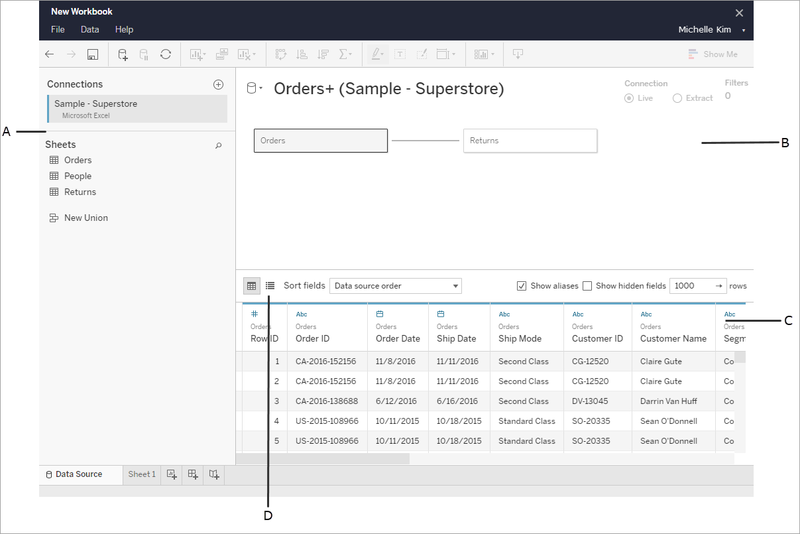 Columns and Rows shelf - Drag fields to the cards and shelves in the workspace to add data to your view. For more information, see Shelves and Cards. Toolbar - Use the toolbar to access commands and analysis and navigation tools. 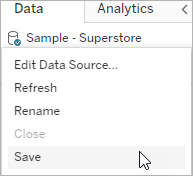 See the Tableau Toolbar Button reference. View - This is the workspace where you create your data visualizations. 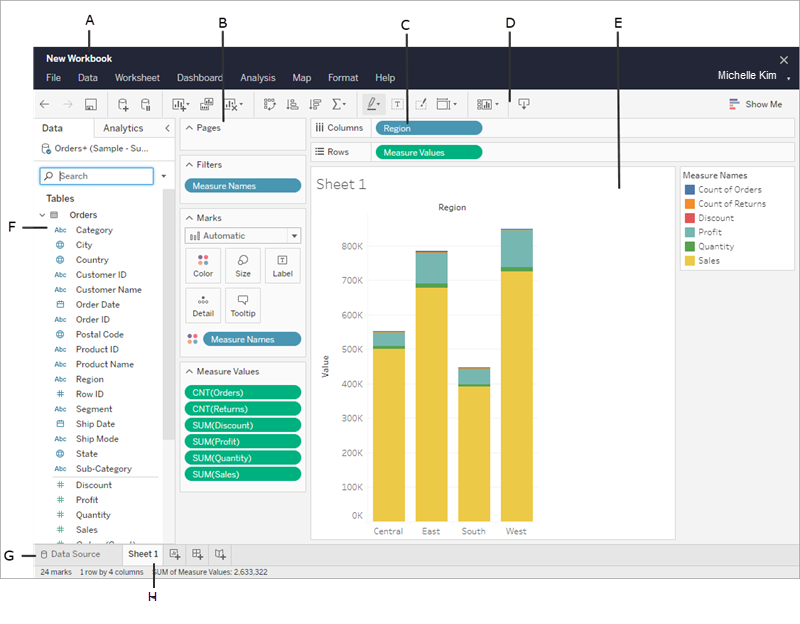 Side Bar - In a worksheet, the side bar area contains the Data pane and the Analytics pane. Go to the data source page. For more information, see Creators: Preparing Data on the Web. Sheet tabs - Tabs represent each sheet in your workbook. This can include worksheets, dashboards, and stories. Every time you drag a field into the view or onto a shelf, you are asking a question about that data. The question will vary depending on where you drag various fields, the types of fields, and the order in which you drag fields into the view. In the worksheet, the columns from your data source are shown as fields on the left side in the Data pane. The Data pane contains a variety of different kinds of fields; for now the most important ones are dimensions and measures. Select one or more fields in the Data pane and then choose a chart type from Show Me, which identifies the chart types that are appropriate for the fields you selected. For more information, see Show Me. When you add fields to the filter Shelf, an interactive filter appears in the view. You can then select the items you want to include or exclude in the view. To create a filter in Tableau on the web, drag a dimension, measure, or date field to the filter shelf. When you add a field to the filters shelf, an interactive filter appears in the view. You can select items you want to include or exclude from the view, or select a range of values. You can also interact with a published view by selecting a single mark (data point) or click and drag in the view to select several marks. On the tooltip that appears, you can select Keep Only to keep only the selected marks in the view, or select Exclude to remove the selected marks from the view. For more information about filtering in Tableau, including Tableau's order of operations, see Filter Data from Your Views. You can use the Marks card to add context and details to the marks in your view. You use the Marks card to set the mark type, and to encode your data with color, size, shape, detail, and text. Many properties can have multiple fields. For example, you can add multiple fields to Label, Detail, Tooltip, and Color. Size and Shape can only have one field at a time. For more information, see Mark Properties Reference. Tableau is extremely flexible and very forgiving. As you build a view, if you ever take a path that isn't answering your question, you can always undo to a previous point in your exploration. 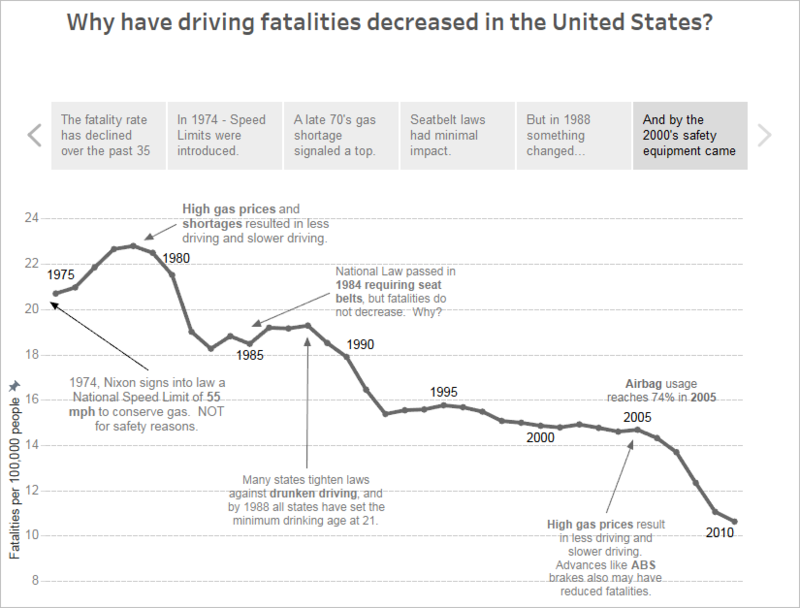 There are many ways to explore data in Tableau. 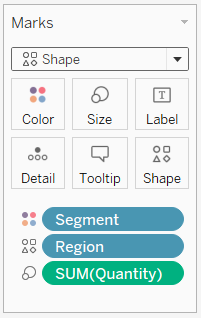 For instructions on building specific chart types on the web, see Edit Tableau Views on the Web, or for more features available to help you build a visualization in Tableau, see Build and Explore Data Views. For a 6-minute walkthrough on building data views, see the Getting Started with Visual Analytics free training video. Use your tableau.com account to sign in. There are several ways to tell a story or persuade others with the data insights you've found in your views. You can format almost everything you see on a workbook, including parts of a view, your workbook's fonts, and graph lines. A dashboard is a collection of several worksheets and supporting information shown in a single space so you can compare and monitor different data simultaneously. The Dashboard area appears on the left and lists the sheets in your workbook. You can add one or more views to a dashboard, add objects like web pages, blank space, and layout containers, or interactivity to associate different views on your sheet. A story is a sheet than contains a sequence of worksheets and dashboards that work together to convey information. You can use stories to make a compelling case by showing how facts are connected, and how decisions create stories to tell a data narrative, provide context, demonstrate how decisions relate to outcomes, or make a compelling case with your data. Create a story or learn more about stories. You can save your workbook at any time by selecting File > Save As. Your workbook will save into the folder it was created. You can also save your data source to create another workbook later, or enable members of your team to use that data for their own analysis. To save a data source, hover over the data source name in the Data tab in the workspace until an arrow appears. Select the arrow and select Save. Note: When you save a data source on the web, it will appear as a published data source in the Connect to Data window as well as in the Data Sources section. When you're finished, select File > Close to exit the workspace. There are a number of ways to share your work and stay up-to-date. Other Creators or Explorers in your organization can edit or update your workbooks and views if they have been given access to your projects. Access is controlled by your site's administrator, who can set project permissions, move content between projects, and change a user's role. 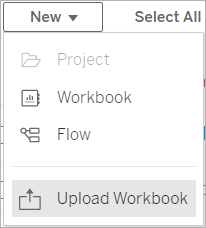 If you've saved your data source, those users can connect to your data and use it to create new workbooks. Every view or workbook saved to your site can be shared via links in email and other applications, or can be embedded directly into web pages, wikis, and web applications. To see a view, users must have permission to access it in Tableau Server or Tableau Online. Create Data-Driven Alerts to receive email notifications when data reaches important threshholds. Comment on views to share a conversation with other users.